There is plenty to love about the great state of Colorado and more people than ever are making the trek from other parts of the country to settle down in the mountains. We can’t blame them, of course, because we believe that Littleton is one of the most beautiful cities in the state. There’s so much to see and do right here in our neck of the woods. That’s why in today’s post, the team at Summit Riverside Apartments would like to welcome you to the area. If you’re new to the city, you’ll find that there’s a lot to love. As a matter of fact, there are so many great things to see and do here that you might feel a little bit overwhelmed at first. Not to worry, however, because in today’s blog, we’ll be sharing a few of our favorite things to do around the city! The Colorado Parks and Wildlife website accurately notes that Roxborough State Park has “close to 4000-acres” of land that is “filled with dramatic red-rock formations, distinct plant communities, and a host of wildlife ranging from black bears to mule deer.” In other words, it’s everything you could ever want from a Colorado State Park. 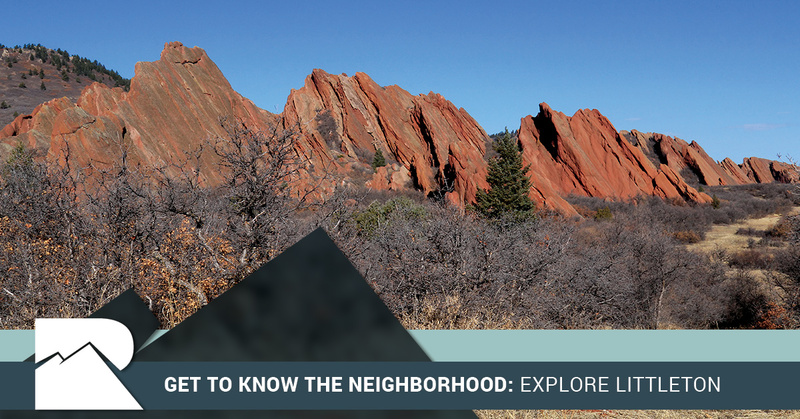 There are a number of trails to explore, so if you’re new to the area and hoping to get the lay of the land and see some of the city’s natural beauty, Roxborough State Park is really hard to beat. Be sure to bring a good camera–or at least make sure you have your smartphone on you–because you’re going to want to take a few photos while you’re out and about on your exploration. If you’ve never tried an escape room before, you’re in luck, because Mystic Escape Room is a blast. There are a number of different rooms to choose from and they can accommodate parties of two or more (ideal if you live in one of our 2-bedroom apartments and want to bring your roommate along with you for a great bonding experience)! Their website notes that their escape rooms are designed to be “live-action, interactive puzzle games that take place inside a locked room” where “you will be locked inside one of our uniquely-themed rooms and challenged to escape in under 60 minutes” and “use teamwork and brains to find the hidden clues, solve the puzzles, and get out before your time runs out.” If that sounds like a blast, it’s because it really is. If none of the above suit your fancy, there are plenty of breweries to check out as well and you can always head into Denver proper if you’re looking for a change of pace. Our apartments for rent in Littleton make a great base of operations no matter what you have planned. A 25 minute drive to Coors Field for a baseball game or a 20 minute drive to Ikea to grab some furniture mean that you’re always close to some of the best things in Colorado. Regardless of the type of fun you like to have, you’ll certainly find something great in or around Littleton. We strive to offer the best apartments in the city, so be sure to schedule a tour today if you want to start your apartment search off on the right foot. We look forward to hearing from you!